Any major purchase requires research, careful analysis and consideration and thought, and Pennsylvania home buying isn’t any different. Determining the right location, number of bedrooms and bathrooms needed, and outdoor space may come more quickly to mind, but there are many other factors to think about as well in your home search. We consider it a privilege to share with you the ins and outs of buying real estate. From your initial search to the moment you get the keys to your new home, we will be there, guiding you through the process. We'll even help you find the best mortgage rates, as not every broker will offer the same programs and rates. As a potential home buyer, you may have a list of “everything” you want or need for your new home. As the Glen Russell Team, we will work with you to help you realize that list and find you the best home to suit you. If you are competing for a Pennsylvania home and need to write a backup offer or have contingencies, we can help you with that at well. 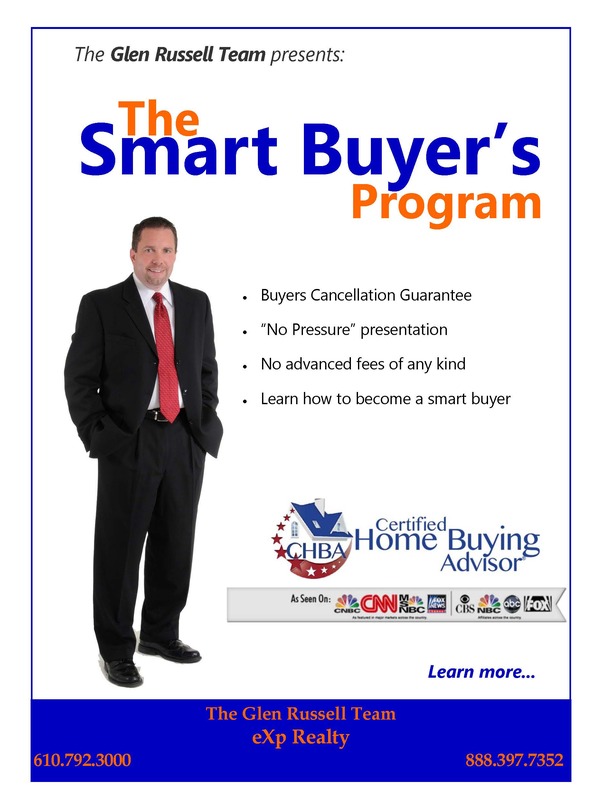 Fill out the form below to get in-depth knowledge on home buying from The Smart Buyer's Program. Listing courtesy of Duffie, Inc..